Elderly and vulnerable residents in the Ribble Valley are being warned to be extra vigilant and not to be duped by bogus workers who are doorstep cold calling. 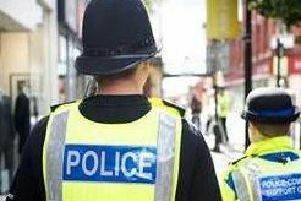 The warning has been issued by Clitheroe’s Sgt Dave Simpson, who is urging people to be on the look out for a bogus-type “official” who recently committed three offences in the Pendle area. He added: “If you suspect you are being visited by a bogus official or distraction-type offender, if you’re not sure who is at your door, don’t open it! Check the identity of the caller by calling the company they are purporting to be from eg gas, electricity, water or police. Use the telephone numbers listed in your local directory or provided independently by your service provider. Do not use any telephone numbers provided by the caller, they may be fake.● Telephone a neighbour or friend nearby to come along and check out the caller before you open the door to them.● If you suspect a bogus caller has visited you, even if you didn’t let them in, call the police straight away on 101.